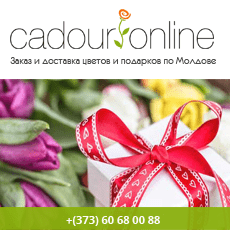 Visiting Moldova monasteries and churches you can see great beauty, variety of styles in their construction. Most monasteries are in a somewhat historic victories of the Moldovan people against the attacks of Turks and Tartars. Orthodox monastery in Moldova is not only a community of monks but also a cultural and educational center. Tipova Saharna Orhei and Japca. The third group is made up of the sf built monasteries. sec. XVIII yet. sec. XIX: New Neamt Curcova, Hincu and Troita of Rudi. The origin of some is lost in the mists of history, such as Saharna Japca Tipova times. Others are based in the golden age of Moldova as Capriana Vărzăreştii. Most monasteries are open to be visited at any time of year. In all large monasteries are rooms for pilgrims. The skete was founded by a monk-hermit, whoused to be subsisting alone in a cave onto the mountsummit. The first wooden church by the mount footwas constructed by the close or ХVI—to the turn toXVII centuries. In 1678, it built a new shrine holy place for religious hermitage, named protector of Moldavia - Reverend Paraskeva. The monastery was built by the Moldavian boyar, Serdar Mihalcea Hincu liking one of his daughters, who became monk named Paraskeva. On December 9, 1678, Mihalcea Hancu, by an act of donation, noted documentary foundation Hîncu Monastery. The legend reads that in the middle or XVII century,monk Iezechil together with some men or faitharrived to the rock Japca from a Moldova sketeDelen and they carved a cave onto the very summitor the rock, by the foot or which Japca Conventis located at present. The rock skete has beenpreserved either: it hosts a church. Varzaresti Monastery is located on top of the hill the border village of the same name, according to documentation, is considered the oldest monasteries of Bessarabia. The first mention of the monastery dates back to the fifteenth century, 25 April 1420, the royal charter of Alexander the Good, which gives him or Venetian nobleman. Monastery Chiştelniţa officially was founded in 1994, the font Orhei village, about 75 km or 27 km from Chisinau Telenesti. Initially these places in 1856, he built a church dedicated to Holy Archangels Michael and Gabriel, sitting in the middle of the village cemetery. Thick walls built of stone is half a meter. Zloti Monastery is the sieve in southern Moldova, 45 km from Chisinau, la15 km from the town or Cainari. The name is taken from the monastery a neighboring village with the same name and is translated from the old glory "gold coins". The monastery stands on the old place, from which not even the foundation remained. Zloti old monastery was founded in 1941 by the monk Gregory Abbot Seraphim Dabija. Monastery "Veveriţa" is a recently formed monastic settlement, situated on the outskirts of the village with the same name, Ungheni. From the available data we find that the monastery was founded by 1922-1924, beautiful church, whose patron is unknown. During the Soviet period, in 1948, the monastery became temporarily squirrel Capriana hermitage monastery, and in 1952 it was finally closed. Bocancea Monastery is located in the village of the same name, Singerei district, 105 km from Chisinau, 40 km from Balti. The name of the monastery comes from the name of the estate owner Leon Moldovan boots. The history of this monastic settlement is directly related to the operation Hirjauca monastery. The Moldovan National Archives maintains a related historical note Hirjauca monastery and boots. In the heart of the Bessarabia, at 16 km far from Chişinău, as an opened eye of sky in the middle of the green fields, the Monastery of Saint Jacob the Persian the Great Martyr, a contemporaneous monastic foundation that is desired not to put to shame the tradition, but to continue it creatively. The cloister has been founded in this place not in vain.Once upon a time a widower Efrem Jurcu arrived tothis marvellous place from Oliscani village with thedesire to take his monastic vows. The loss or his wiemust have shocked him deeply. As described by ajournalist Sarbu in the almanac “The Monasteries or Bessarabia” (1995), a bit later by the request or Efremthree more monastic priests arrived to the place:Seraphim, Ioaniky and Makary. Hirova Monastery is located in the village Niculaeuca, Orhei, 160 km from Chisinau and 15 km from Orhei. Please be aware that it is possible to confuse Hirova monastery in the village Orhei Hirova of Calarasi. According to sources, Hirova was founded as a monastery for nuns in 1805, the Metropolitan of Moldova, Veniamin Costache. Briceni Monastery was founded in late 1999, the city Briceni Edinet district, about 225 km from Chisinau. The monastery was in Forest Grove Sanitarium îmtemeiată Briceni place by the late Reverend Dorimedont. Sanatorium former club building was converted into the church, dedicated to the Resurrection. 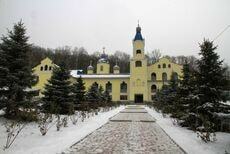 The monastery is located in Long Ceadîr Oas city of the same name, UTAG, about 125 km from Chisinau. The monastery was built in 2000 at the initiative Dumitru Chioroglu rector in memory of the church "St. Demetrius", which in 1972 was blown up by Communists. Raciula Monastery is located in the village of the same name, Calarasi district, about 45 km from Chisinau or 10 km from Calarasi. From the village you can go to monasteries Hirjauca Raciula and Hirbovat. According to the monastery was founded in the last years of the eighteenth century by the brothers John and Andrew Rosca, the estate Razesi Lupu Stratan. Horeşti Monastery is located near the village of the same name, Ialoveni, about about 23 km from Chisinau. Official monastery began to function in its own right only at the July 29, 2007, and consecrated the same day as the presence of Metropolitan Vladimir, and many church and lay people. Cosauti monastery is situated about 5 km from the village Cosauti Soroca. The monastery was founded in 1994 by the village priest Cosauti Jerome Palli. It builds a church, where a project donated by IPS Daniel, Metropolitan of Moldova and Bucovina, dedicated "Assumption. Tiganesti Monastery is located in the forest of Moldova, near Gipsy village, district Straseni Ikel River, about 40 km from Chşinău. The monasterys history begins in 1725, was founded by the nobleman and Lupu Geuca Cobîlca free peasants from the village, who built a wooden church, dedicated to the Assumption, to hide the Tatar invasions Christians. Hirjauca monastery. The skete in the place appeared approximately in theyear 1740 and it got the name or “Ascensio Christi”or Harjauca. To the turn to XIX century the youngmonastery survived its hard times. It was forayedand plundered by the Turks and the Tatars. Saharna Monastery is located in the village Saharna Rezina 8 km, or 120 km from Chisinau. Nature Reserve and the monastic complex is spread over an area of 670 hectares and is taken under state protection. Saharna monastery, the whole ensemble, is one of the oldest monasteries of the Orthodox Church in Moldova content. New Neamt Monastery is located in the village Chitcani, Slobozia district, located on the right side of the Danube, not far from town. Bender. New Neamt Monastery, now the largest religious architectural complex of the Republic of Moldova. History of the Lavra Monastery Neamţ is linked by the river Prut. Rudi Monastery (or Rughi) Rudi is located in the village, district Donduşeni on the Nistru river at a distance of 15 km from town Otaci. It is a nunnery. In 1777, the estate Andronachi brothers Theodore and relatives, with financial support from Knoll Donciul merchant, built a stone church dedicated to Holy Trinity, in Moldavian style. Owner Michael Bogus, grabbed Rudi family estate, and more ruined monastery, taking the life force, orchard, apiary, pastures. The monastery was established in the years 1773 - 1775 by Boyar Iordache Curchi from Marazini settlementonto the lands that once belonged to his grandfather.At first, the principle temple or the cloister was awooden church. 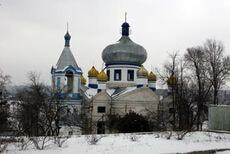 Yet, to the turn to XIX century amarvelous temple was erected that remained for longspan the highest temple in Moldova. The Ciufea Convent Punctions since the year 2002 torank among the youngest spiritual centres in Moldova,although people have been worshiping the All-Mightyin this place for more than 150 years. Brothers Feodorand Anastasios Ciufea made once their mind to erecta white stone church with 9 domes. Feodor Ciufeapassed away aging 58 years before construction on the church was completed.